I oppose raids by Immigration and Customs Enforcement, or ICE, like we saw recently in Mount Pleasant because of the damage they do to our communities and because of the message they send to immigrants, including both those who are here with and without papers. Our state and our political leaders must do everything we can to protect our community members, including those who choose to become Iowans. There are many things we can do and that I am committed to doing if elected as your next state senator. First, we must repeal Senate File 481, the attack on local cities and counties trying to protect their community members. This bill has no place on the books of Iowa law. And in fact, when it was being passed, it was stridently opposed by state law enforcement, which leads to my next point. Second, we must oppose the deputization of local law enforcement by ICE. Deputization creates distrust of local police officers, which makes effective community policing all the more difficult. Third, we must make sure that immigrant communities are engaged and that their interests are heard. Our state will not be able to continue growing without immigration, and we must be conscious of the messages we are sending with both the legislation we pass and how we communicate.  We are blessed with thousands of immigrants and their families in our community — Sudanese, Mexican, Chinese, Indian, and many, many more. 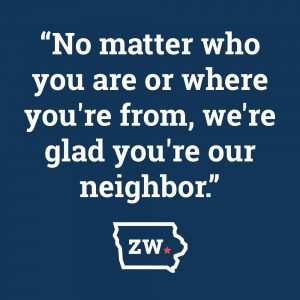 No matter who you are or where you’re from, we’re glad you’re our neighbor.